Adorable woodland inspired flower crown in a vine wire base featuring a lavender, light purple blossoms flowers and frosted pip berries. 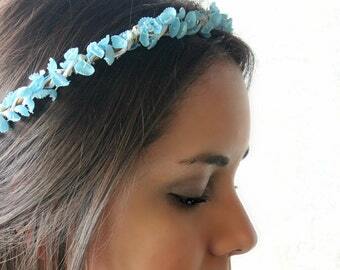 Plus, acrylic jewels here and there. 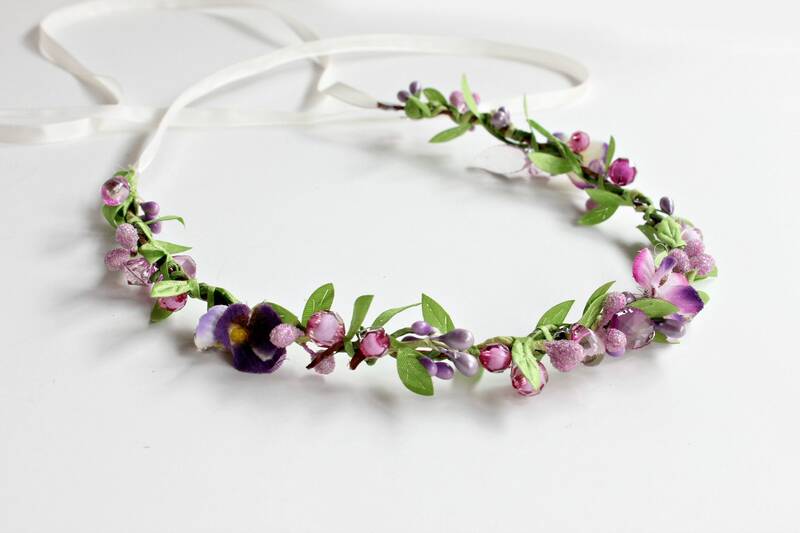 Perfect touch for your woodland or boho inspired wedding or any Spring Celebration. 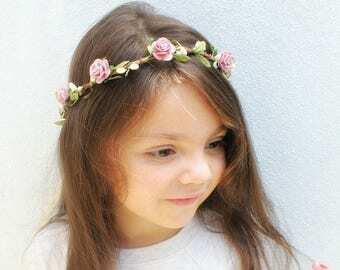 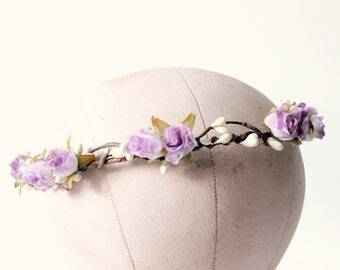 Can be used as a headband or tiara. 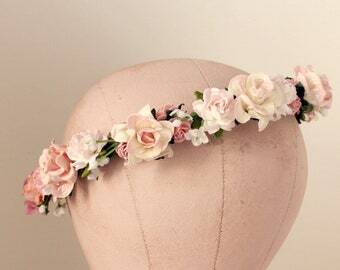 This floral crown is open on the back and have a ivory satin ribbon to adjust to fit any size of head.